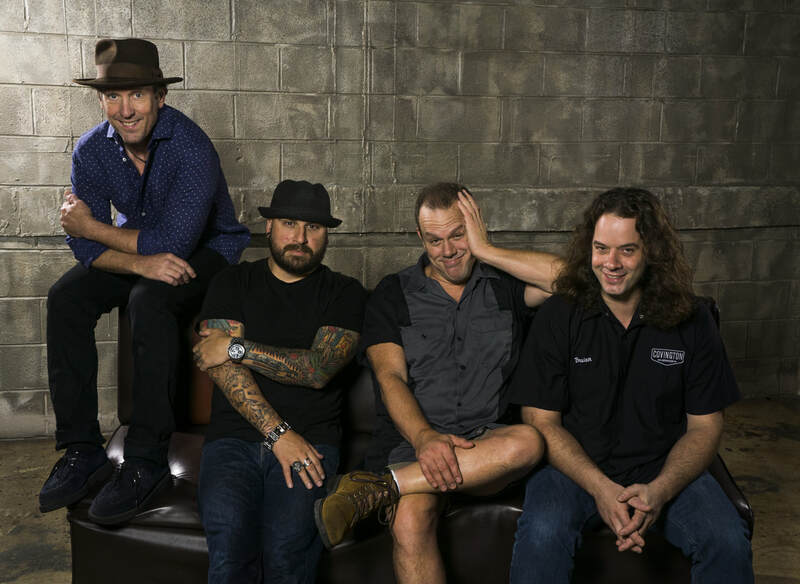 Formed during the glory days of grunge music, Cowboy Mouth forged a different sound from the very start. It’s a sound rooted in rock, punk, blues, and the attitude of the Big Easy, a town known for its week-long parties and swampy, southern vibe. Bandleader Fred LeBlanc, who'd previously sharpened his teeth with the punk band Dash Rip Rock, pulls double-duty as the group's frontman and drummer, leading the charge with his larger-than-life personality and percussive attack. During the band’s early days, record companies warned him against singing and drumming at the same time, claiming that audiences would never go for it... but by the mid-'90s, those same record companies were clamoring to sign the band to a major-label deal. The people onstage certainly help, though. Since the band’s inception, LeBlanc has shared that stage with guitarist John Thomas Griffith (formerly of the band Red Rockers and singer / co-writer of their hit song "China"). Now backed by bandmates Matt Jones on guitar and Brian Broussard on bass, LeBlanc and Griffith have led Cowboy Mouth on a wild, critically-acclaimed ride, selling more than 500,000 albums domestically, playing shows with artists like Bo Diddley (whose bluesy, beat-driven music has always been a big influence on Cowboy Mouth's own sound), and performing in front of more than 9 million fans.